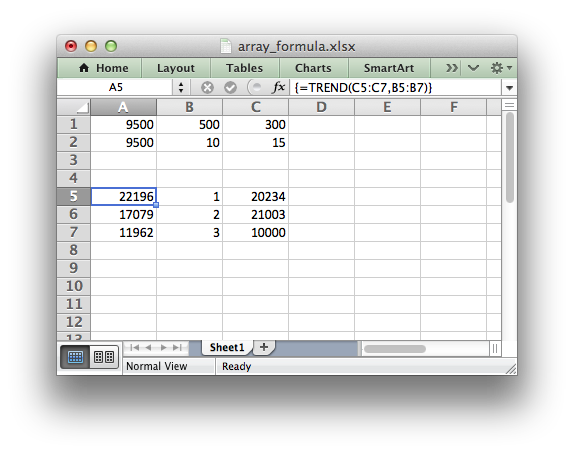 This program is an example of writing array formulas with one or more return values. See the write_array_formula() method for more details. # Same as above but more verbose.